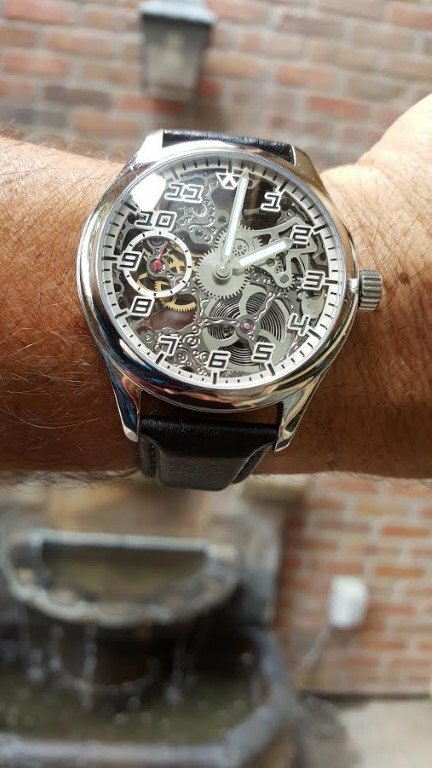 My first review of a skeleton watch, and it’s spectacular! 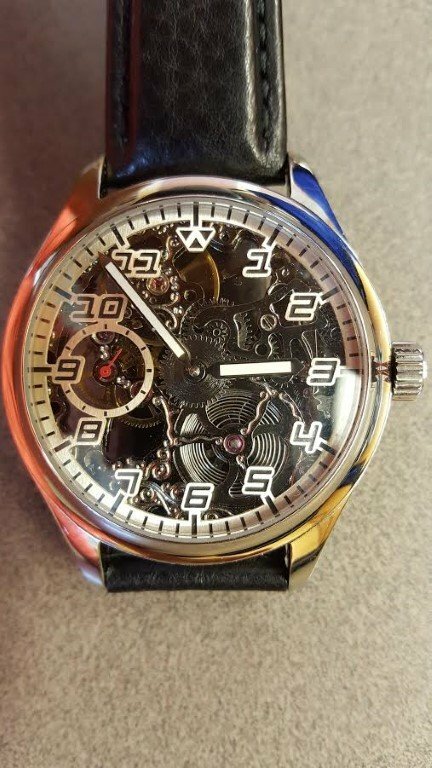 Wilk Watchworks was founded by Scott Wilk and his workshop is located in Toronto, Canada. Scott studied fine art in college and worked at a jewelry store, where he learned watchmaking from the store’s watchmaker. 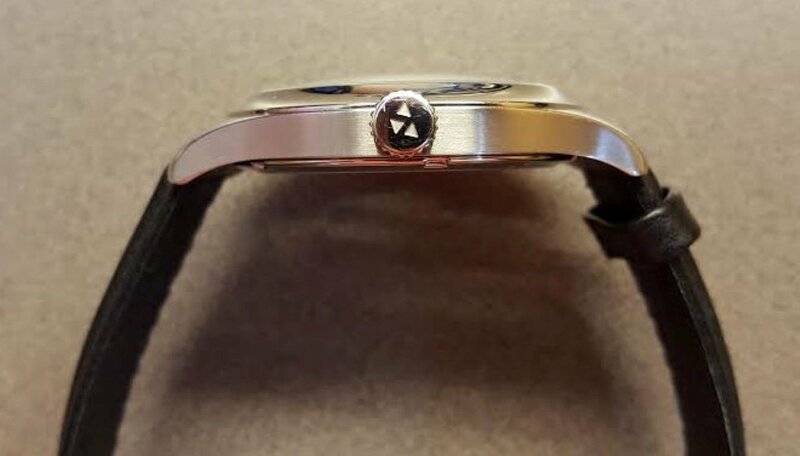 Training in metalsmithing and gemology has really helped Scott develop watches with three dimensional details and features that are not normally found on watches, particularly in the price range he works in. 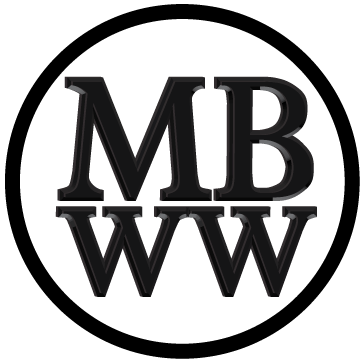 His watch line includes stock ready to purchase models as well as custom jobs for customers that want a watch that is truly unique. The watch being reviewed here is the Maki, developed with the approval of Mr and Mrs Maki. In June 2013, Mrs Maki contacted Scott, after seeing his work at the One of a Kind Show. Her goal was to make a custom watch for her husband. After the extensive design and manufacturing plans were developed and settled, the watch was completed, with numerous unique specs for Mr Maki’s custom watch. 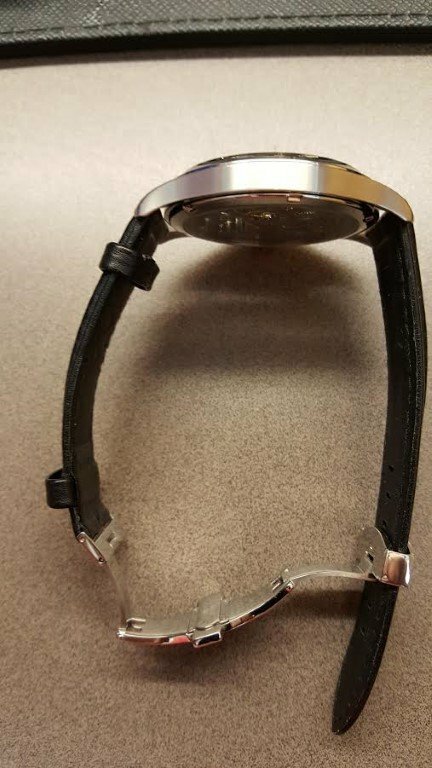 Scott asked and received the ok from the Maki’s if he could manufacture and sell a similar watch as part of his line. The Maki watch that is now available to watch buyers is the result shown here. The original Maki was 46 mm and the production model is 44mm. Movements, materials and details are different, but the watch definitely captures the spirit of the original watch. 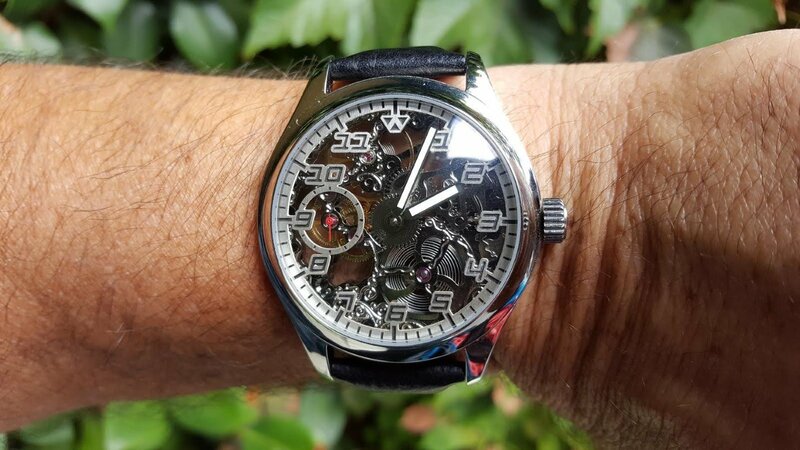 This particular watch is powered by a mechanical, manually wound Hangzhou 9000 series skeleton and gunmetal movement, which is a copy of the Swiss ETA 6497-1 used in the Maki’s watch and available optionally. This well proven movement typically is accurate to about 10 to 15 seconds a month. It is the first manual winding 17 jewel skeleton movement I have looked at, and I must admit it is very fetching, particularly when you see the mainspring coiling when the watch is wound. The watch has a seconds complication at 9 o’clock with a thin red hand and the hour and minute hands are substantial lumed swords. The face of the watch is carved and lume filled out of a single piece of fine silver, a very cool and logical touch for a full skeleton watch. I particularly like the engraving details visible on both sides of the movement and the blue headed screws on the back. Originally developed for pocket watches, this movement is perfect for this application, in my opinion. Branding is very tasteful with the Wilk logo at 12 o’clock on the watch face, the edge of the polished case back, the head of the substantial gear edged crown and the polished stainless strap clasp. 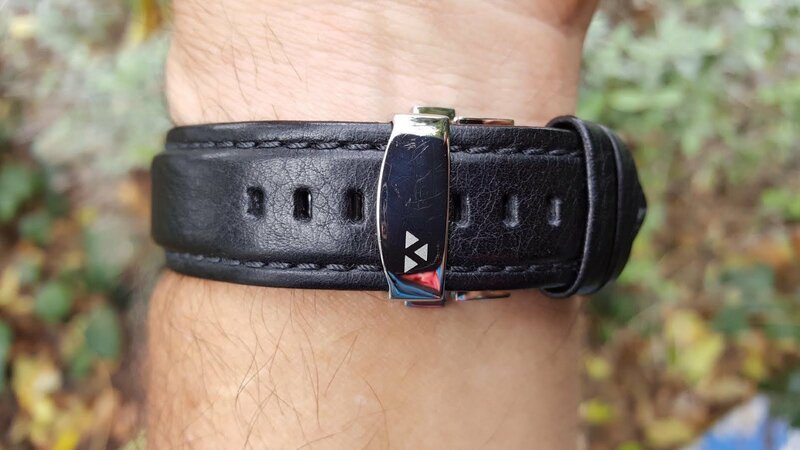 The black leather strap’s folding clasp is well made and eliminates wear from the holes in the leather strap. The case is completely polished stainless except for the sides which are brushed.